I've never been a bold eyebrow kinda gal. I'm lazy, I'm always in a rush and I just don't have 45 minutes each morning to spend carving out those perfect face sculpting forehead slugs. Nu-uh, I like my duvet way too much. But luckily enough a few years ago I was introduced to Gimme Brow by Benefit and I've never gone back. 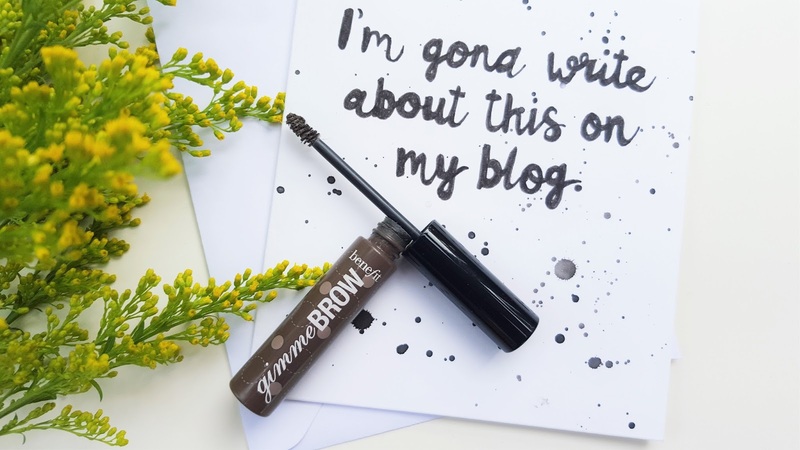 Now I won't lie, I don't rely completely on Gimme Brow alone 24/7 - sometimes if I've a few extra moments I do a bit of extra faffing around with my Seventeen Brow's That! kit (review here) and I still highly recommend that too, it's got instructions included too, YAS!! But Gimme Brow by Benefit is a foolproof quickie addition to my lazy gal's morning make-up routine and I think you should check it out. The one thing I love about Gimme Brow has to be the TINY applicator. I've used many tinted brow gels in the past but they've all just been too awkward for my dainty wee paws and skinny faceslugs but the Benefit applicator just feels more precise and easy to use. Gimme Brow is designed to add fibres into the brows to help make them look fuller and more volumized which is ideal for me when I'm rushing around at 7.45am throwing things at my face and hoping to come out the other end looking semi-respectable. When applied alone, my current shade helps cover my naturally blonde brows when my trusty brow tint fades - without looking fake or OTT. It gives a natural, tamed brow effect and that's just the way I like it.. 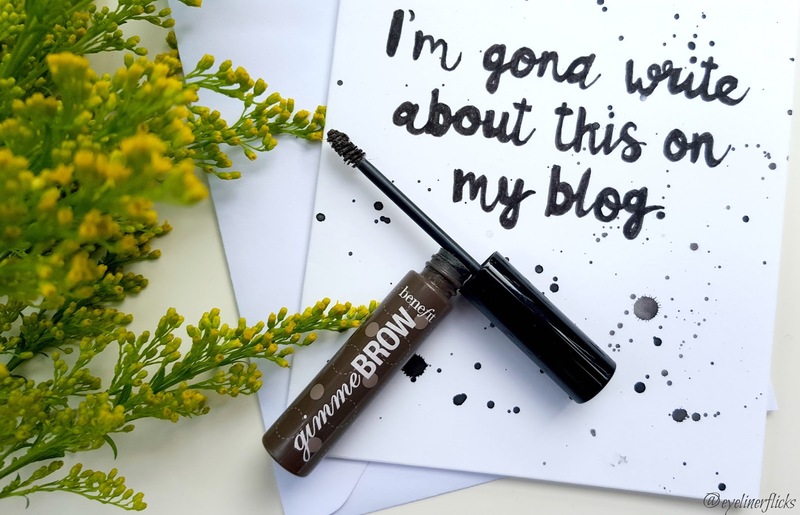 Retailing at £18.50 Gimme Brow is a bit of an investment but I'd highly recommend adding this tiny tube to your routine - you won't regret it. NB - since writing this post the price of the product has increased to £20.00. Im useless at brows, I give them the tiniest filling in but mine are pretty thick and dark anyway, still, they always end up looking a bit forgotten! I've been wanting to try gimmie brow for ages, it looks like a no muss no fuss kind of way to show my brows a little love without turning them into a full on scouse brow!